Transistors are the building blocks for modern electronics and the Touchpad circuit is a great introduction to their basic function. Students explore how the transistor can take the small current transmitted through their body to switch on the LED. Once soldered, the circuit functions as a touch activated light. 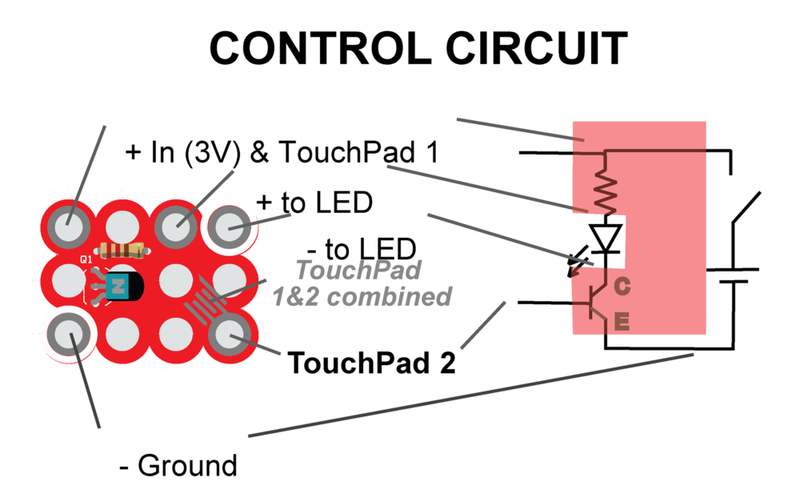 Touching both touch pads opens a low side NPN transistor switch circuit that turns on the LED. What does the circuit look like? Touchpad is also available as pre-soldered kit.